After thoroughly enjoying The Beaver Manifesto a couple of weeks back, I placed “hold” requests for several other manifestos published by Rocky Mountain Books. Yesterday I received an email notice that one of my hold requests had been filled, so I stopped in at my local Calgary Public Library branch and signed it out. This title interested me for a few reasons. I remember being shocked when I saw documentary a few years ago about a region in China where pesticides and other toxins have wiped out the local honeybees and labourers have to pollinate pear blossoms by hand! Over the past year or two, it’s been almost impossible to miss the relatively regular media reports about Colony Collapse Disorder and the fact that researchers really haven’t figured out why more than 30% of our bee population is dying out every year. So when we had to re-plant our yard after last year’s whole home renovation project, I kept thinking I wanted to plant flowers and other plants that were friendly to bees, butterflies and birds. 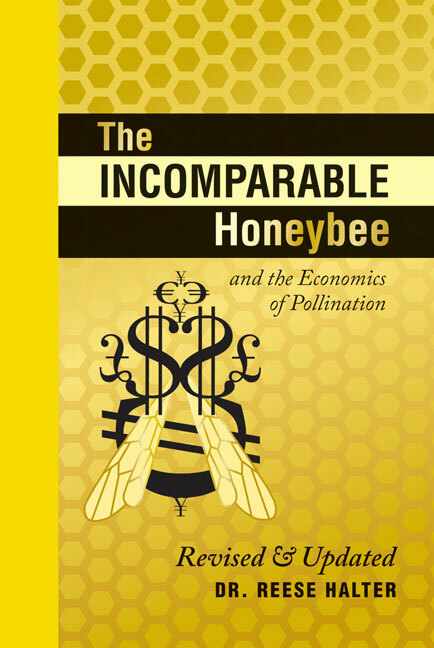 After reading The Incomparable Honeybee this morning, I realize I need to tweak a few things. 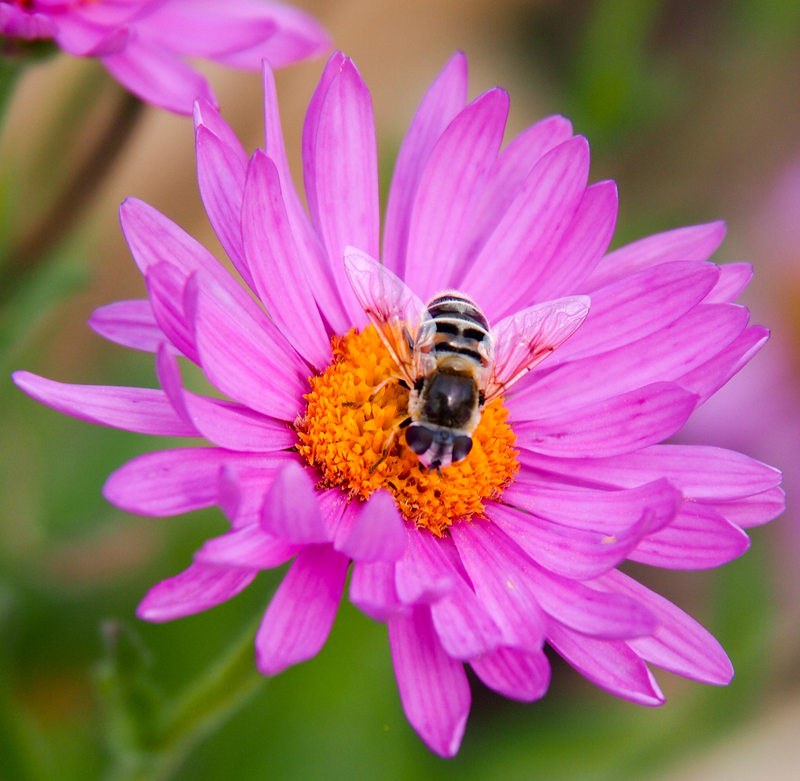 Bees have been trained to detect explosives, drugs and illnesses. (p 61) Who knows…some day in the future we might be going through bee security before catching a flight to our favourite holiday destination! Or perhaps bees will be essential partners in clearing landmine fields. Shop for neem-based insecticides to help control the ant populations in our yard (neem-based insecticides do NOT harm bees, ladybugs, moths, bats, hummingbirds, dragonflies and other beneficial insects). At the appropriate time of year, re-arrange some of the wildflowers I planted in the spring so that they’re in 1 meter x 1 meter colour blocks (not the abstract curved shapes they currently form). Let some of the carrots, parsnips and beets go to seed at the end of the summer. This will provide an autumn food source for some species of bees. You may wish to borrow a copy of the book from your local library so you can read the last chapter for the full list of recommendations and consider which one or two things you can do to help the bees recover. If you prefer, this title is available in e-book format. Check with your local book store or order directly from publisher Rocky Mountain Books if you’d like your very own copy. RATING: 5 out of 5 stars. This is a quick and revelatory read. If you like to eat, you owe it to yourself to learn more about bees. RECOMMENDED: For those with an interest in nature, flowers, natural medicine, plant evolution, bees of all sorts, and food! If you’re interested in trying to identify the bees and wasps you see in your backyard or local park, I’ve found Insects of Alberta to be quite helpful. Please leave a comment to recommend other references and resources. Did you know that the first picture is of a bee-mimicking beefly and not a honeybee? 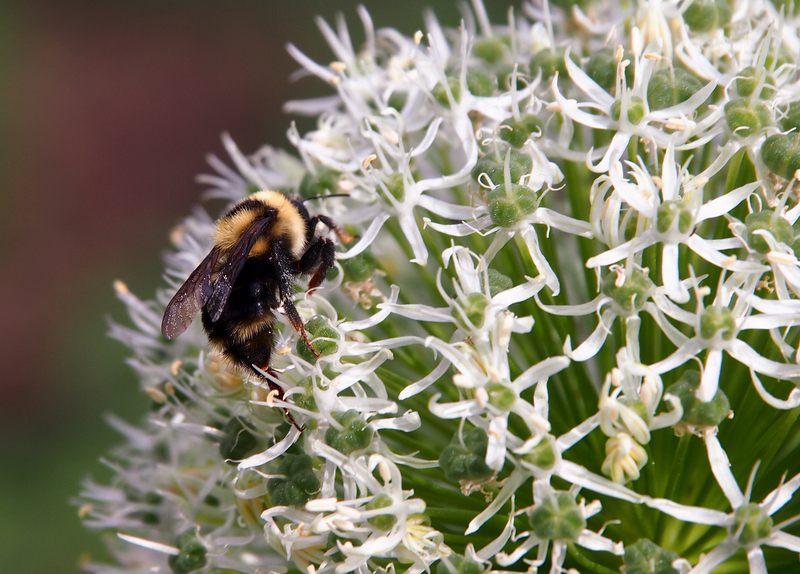 They get mixed up very often, but are also great pollinators. Thank you for the lovely book review. We all are required to help our urban bees. I urge you not to purchase any insecticides, herbicides, miticides or fungicides from gardening stores, we know they may have neonictinoids at concentrations up to 120 times greater than those applied in agriculture. Neonictinoids are LETHAL for all bees and soil fauna, will be removed from the marketplace worldwide, but not soon enough. I have a small patch of poppies near my back door and every morning it is swarming with bees. They fascinate me. I was amazed to read what they put into 1 tsp. of honey! Great recommendation. Thank you. I would love to plant poppies in my yard, but they’re not very resistant to rabbits and deer and since we have a half-dozen jackrabbits in the neighborhood and 4 or 5 deer that regularly visit, I’ve decided to hold off on planting any poppies. But I’d love to find a spot to fit them into the back flower bed, especially since you mentioned they attract bees! Thanks for the info. Nice! What a great thing to add to your list. Thanks for the great review. We have a Mason Bee nesting box in our garden to attract pollinators. I just wrote about it a few days ago. I’m going to add this book to my Goodreads queue. Thanks for your comments about mason bees. I’d never heard of them before but your blog post about nesting boxes intrigues me. I’m planning to learn more about raising mason bees in Alberta so I can decide whether to add “place a few bee blocks” to my personal action list.